We are proud to announce the free public beta release of NGINX Amplify, our new tool for monitoring NGINX and NGINX Plus. With NGINX Amplify you get visibility and control of NGINX and the applications it delivers. You can use it to quickly troubleshoot and resolve health and performance issues within your applications and across your infrastructure. 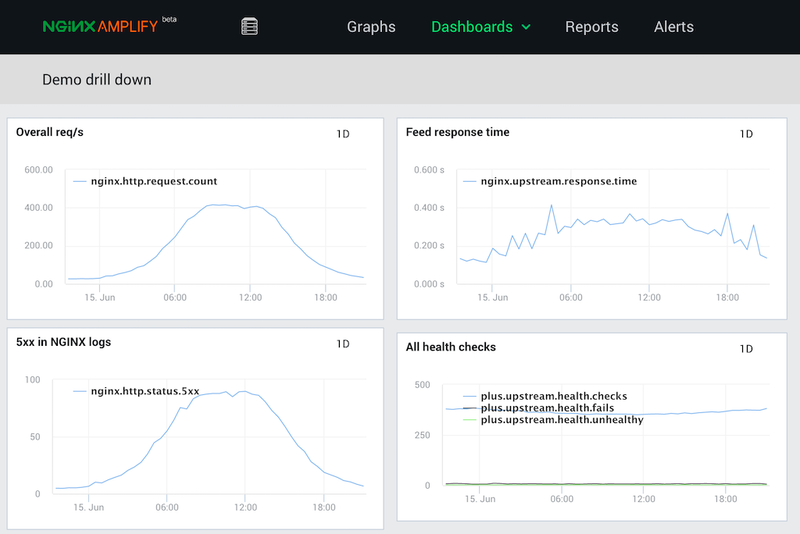 NGINX Amplify includes powerful features such as recommendations for performance and security improvements, a customizable server monitoring dashboard, and a configurable alerting system. To learn more and see a demo, watch our on‑demand webinar, Improve App Performance & Reliability with NGINX Amplify. A transcript of the first part of the webinar, an overview of NGINX Amplify features, is available on our blog. Also check out the many other posts about NGINX Amplify on the blog. To participate in the public beta, sign up for free today. Performance and security recommendations – NGINX Amplify thoroughly analyzes your NGINX configuration and recommends changes to improve performance and security. Each recommendation includes the line number of the cited configuration directive, explains the problem, and suggests a g.
Real‑time monitoring – NGINX Amplify is a “single pane of glass” for monitoring NGINX, whether you have one instance or thousands. It collects hundreds of metrics from NGINX, log files, and the operating system, and provides a highly customizable interface to display them (pictured above). The metrics can be aggregated over a cluster of NGINX instances for a high‑level overview or filtered to track performance of individual APIs. NGINX Amplify provides comprehensive monitoring of open source NGINX and users of our commercial product, NGINX Plus enjoy additional metrics. Configurable alerts – NGINX Amplify sends email alerts when systems need attention. Any of the metrics collected by NGINX Amplify can be used as criteria for sending alerts. For example, an alert can be generated with the number of 5xx errors crosses a threshold you set. Given NGINX’s unique position as the web server, frontend proxy, and load balancer for our users’ applications, we believe that NGINX Amplify is a strong complement to existing application performance and uptime monitoring tools. NGINX Amplify works by way of a small open source agent installed on each of your NGINX or NGINX Plus endpoints. The agent monitors NGINX in real time, collecting metrics for analysis and visualization. 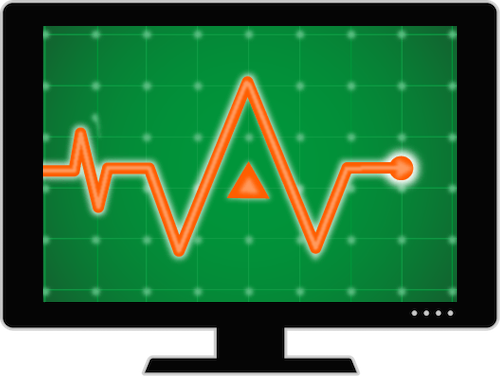 That data is combined with the existing information collected natively within open source NGINX and NGINX Plus to give you a holistic view into the health of your applications. We invite all open source NGINX and NGINX Plus users to sign up now to take advantage of this opportunity to analyze and take greater control of your applications. 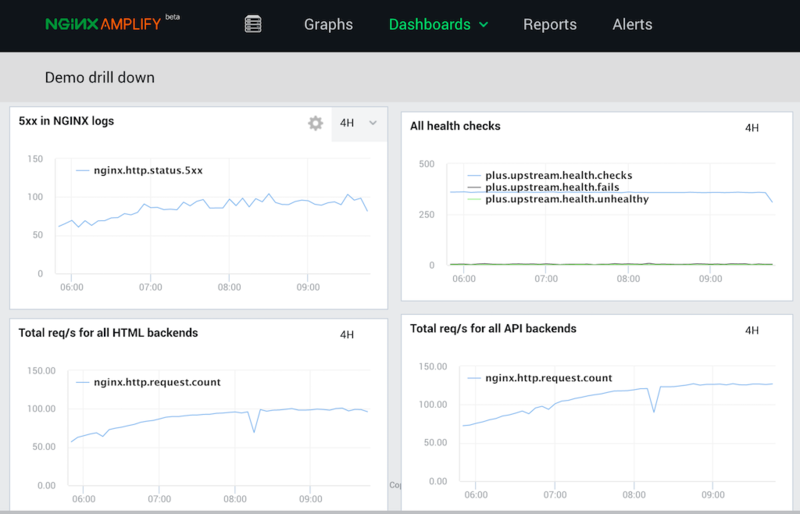 By participating in the NGINX Amplify public beta, you can begin monitoring NGINX within minutes, visualizing key metrics and receiving actionable insights to improve the performance and security of your apps. NGINX Amplify was made available through a private beta last November. NGINX enthusiasts and those with strong application monitoring needs were the first to join our private beta; and as we enter this public beta, we expect our user base to grow rapidly. As well as monitoring NGINX and NGINX Plus in real time, NGINX Amplify performs static analysis of configuration files. 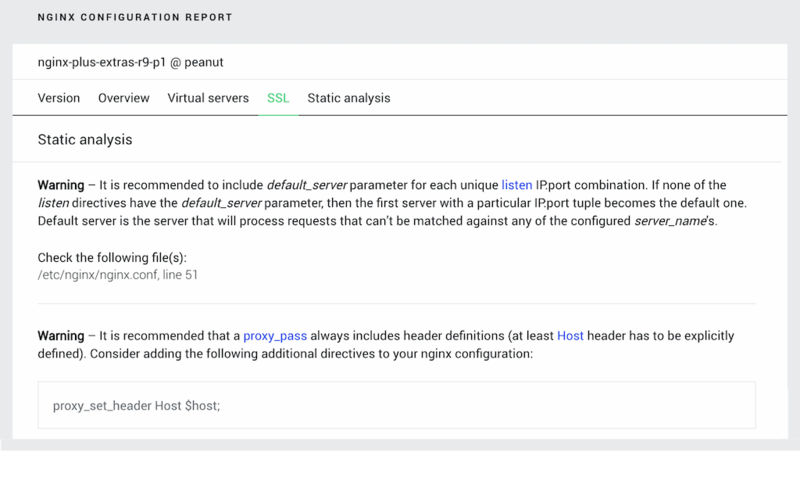 The Reports page recommends changes to enhance the performance and security of your NGINX deployment. Each recommendation includes the file and line number for the cited configuration directive, explains the potential problem, and suggests a way to resolve it. The first example in the screenshot points out a common misconfiguration that can lead to unpredictable behavior when a request for an unknown virtual server comes in. NGINX Amplify also detects misconfigurations that can impact performance. For example, completely disabling buffering of responses from proxied servers can degrade performance, while disabling buffering to disk may improve it. Users quite commonly confuse the two and disable all buffering unnecessarily. NGINX Amplify spots this misconfiguration and suggests what is typically intended. NGINX Amplify further identifies potential security issues in the configuration and provides recommendations for fixing them. For example, NGINX Amplify suggests restricting access for metrics to prevent unauthorized access to key server data. So you can do historical analysis as well as monitor NGINX in real time, NGINX Amplify stores collected data for a week. You can define alerts so that NGINX Amplify notifies you on the Alerts page when systems are not healthy. NGINX Amplify collects a wide range of metrics from monitored systems that can be used as criteria for generating an alert. sign up today for our free public beta, and to provide feedback using the Intercom button in the bottom right corner after you log in to NGINX Amplify. Editor – To learn more about NGINX Amplify and see a demo, watch our on‑demand webinar, Improve App Performance & Reliability with NGINX Amplify. A transcript of the first part of the webinar, an overview of NGINX Amplify features, is available on our blog along with many other posts about NGINX Amplify.